This week, co-host Kim Shivler filled in for Jonathan Denwood to lead the discussion with the round table. She was joined by Sallie Goestch, John Locke, Chris Badgett, and Mendel Kurland. 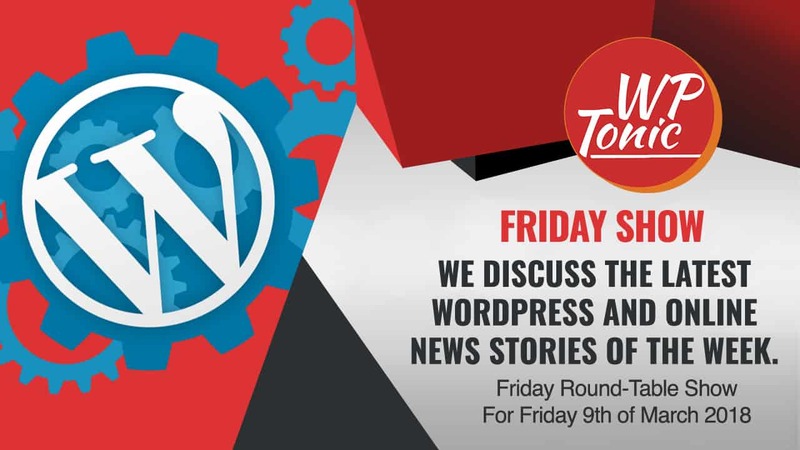 The group discussed some recent WordPress news much of it concerning Gutenberg. Our episode this week is sponsored by INTELLIGENCEWP. Finally, an analytics plugin that provides valuable metrics and results that increase your leads. INTELLIGENCEWP. Mendel wants us to position Gutenberg as a positive advancement with our customers. Many of this team agree that a large reason for the pushback and negativity about Gutenberg has been caused by a lack of communication about the project. One key to working with Enterprise Customers is that they are risk averse. They aren’t necessarily wrapped up in the technology. They just want to make sure it works. One thing noted about Enterprise Customers is that they tend to have in-house teams or budgets to manage implementations and testing of software updates. There are 4500 top plugins that need help with testing. Though this is a small fraction of what’s in the repository, these are the most popular. The team agreed that those who contribute are normally not the same as those complaining. While it’s a great idea to crowdsource this type of testing, they did point out that there is a significant barrier of entry to those who are not technical.